Helen Poore of Wenham saw VioClean’s truck parked outside her home. “I noticed it because it was absolutely spotless,” she said. Amazing Dri-Steam, New Patented Technology! Our new upholstery tool is nothing short of amazing! High Flow/Low Moisture super-cleaning for fabrics that in the past could only be dry-cleaned is now a reality. Using a hypervelocity fluid stream, this new tool shears away soil without over-wetting or any overspray. 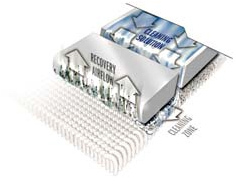 High flow Jetless Cleaning Technology leaves the fabric cleaner and 50% drier. Your fabrics will be dry in 1-2 hours! What method do you use for upholstery cleaning? Every piece of furniture is different both in construction and material. There is no one way to clean upholstery. We will test the fabric before cleaning to determine the proper way to clean your upholstery. We look at the fabric construction, fiber content and dye stability. We then choose the safest, most effective way to clean your furniture. How long will my furniture take to dry after upholstery cleaning? Our specialized upholstery tools use a patented technique to thoroughly clean your upholstery while leaving it drier than other methods. Most pieces are dry within 1 hour. Some materials such as cotton may dry slower and may take as long as 2-4 hours to dry. Will upholstery cleaning make my furniture look new again? Furniture is of course only new once. However, you would be amazed at what a good upholstery cleaning can do. We may be able to restore that problem piece to like new condition. We will tell you in advance if your upholstery is worth cleaning before you are charged a dime. We can even do a test spot for you for no charge. My Cushions have zippers, can I just wash them in the Laundry Machine? No, although some people have done it with acceptable results, it is not recommended. The reason that some cushions have zippers is that the manufacturer can get a tighter fit by using zippers instead of sewing. If you remove the covers and wash them, chances are they will shrink or distort and you will never get them back on correctly.